Largest online selection of Kohler designed and built Industrial Diesel Generators, Three Phase diesel generators from Kohler. Kohler REO Three phase diesel generators. 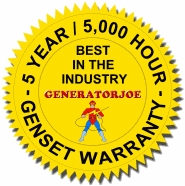 200,000 watts (200 kW) to 3,250,000 watts (3250 kW). Engines from John Deere, Kohler, Mitsubishi, MTU & Volvo. Kohler, Commander "J™ Series, 200 kW (250 kVA) 60 Hz, SKU KOGJ-200D321, Model 200REOZJF-3, (Open, No Enclosure), Enclosures Optional, Use Request Price Form or Call for Instant Quote. Kohler, Commander "J™ Series, 230 kW (288 kVA) 60 Hz, SKU KOGJ-230D322, Model 230REOZJE-3, (Open, No Enclosure), Enclosures Optional, Use Request Price Form or Call for Instant Quote. Kohler, Commander "J™ Series, 250 kW (313 kVA) 60 Hz, SKU KOGJ-250D323, Model 250REOZJE-3, (Open, No Enclosure), Enclosures Optional, Use Request Price Form or Call for Instant Quote. Kohler, Commander "J™ Series, 275 kW (344 kVA) 60 Hz, SKU KOGJ-275D324, Model 275REOZJE-O, (Open, No Enclosure), Enclosures Optional, Use Request Price Form or Call for Instant Quote. Kohler, Commander "J™ Series, 300 kW (375 kVA) 60 Hz, SKU KOGJ-300D325, Model 300REOZJ-3, (Open, No Enclosure), Enclosures Optional, Use Request Price Form or Call for Instant Quote. Kohler, Commander "J™ Series, 350 kW (438 kVA) 60 Hz, SKU KOGJ-350D326, Model 350REOZJB-3, (Open, No Enclosure), Enclosures Optional, Use Request Price Form or Call for Instant Quote. Kohler, Commander "J™ Series, 400 kW (500 kVA) 60 Hz, SKU KOGJ-400D327, Model 400REOZJB-3, (Open, No Enclosure), Enclosures Optional, Use Request Price Form or Call for Instant Quote. Kohler, Commander "J™ Series, 500 kW (625 kVA) 60 Hz, SKU KOGJ-500D328, Model 500REOZJB-3, (Open, No Enclosure), Enclosures Optional, Use Request Price Form or Call for Instant Quote. Kohler, Commander "V™ Series, 550 kW (688 kVA) 60 Hz, SKU KOGV-550D329, Model 550REOZVB-3, (Open, No Enclosure), Enclosures Optional, Use Request Price Form or Call for Instant Quote. Kohler, Commander "V™ Series, 600 kW (750 kVA) 60 Hz, SKU KOGV-600D330, Model 600REOZVB-3, (Open, No Enclosure), Enclosures Optional, Use Request Price Form or Call for Instant Quote. Kohler, Commander "D™ Series, 700 kW (875 kVA) 60 Hz, SKU KOGD-700D331, Model 700REOZDE-3, (Open, No Enclosure), Enclosures Optional, Use Request Price Form or Call for Instant Quote. Kohler, Commander "M™ Series, 750 kW (938 kVA) 60 Hz, SKU KOGM-750D332, Model 750REOZMD-3, (Open, No Enclosure), Enclosures Optional, Use Request Price Form or Call for Instant Quote. Kohler, Commander "D™ Series, 800 kW (1000 kVA) 60 Hz, SKU KOGD-800D333, Model 800REOZDE-3, (Open, No Enclosure), Enclosures Optional, Use Request Price Form or Call for Instant Quote. Kohler, Commander "M™ Series, 800 kW (1000 kVA) 60 Hz, SKU KOGM-800D334, Model 800REOZMD-3, (Open, No Enclosure), Enclosures Optional, Use Request Price Form or Call for Instant Quote. Kohler, Commander "D™ Series, 900 kW (1125 kVA) 60 Hz, SKU KOGD-900D335, Model 900REOZDE-3, (Open, No Enclosure), Enclosures Optional, Use Request Price Form or Call for Instant Quote. Kohler, Commander "M™ Series, 900 kW (1125 kVA) 60 Hz, SKU KOGM-900D336, Model 900REOZMD-3, (Open, No Enclosure), Enclosures Optional, Use Request Price Form or Call for Instant Quote. Kohler, Commander "M™ Series, 1000 kW (1250 kVA) 60 Hz, SKU KOGM-1000D337, Model 1000REOZMD-3, (Open, No Enclosure), Enclosures Optional, Use Request Price Form or Call for Instant Quote. Kohler, Commander "DR™ Series, 1000 kW (1250 kVA) 60 Hz, SKU KOGD-1000D338, Model 1000REOZDE-3, (Open, No Enclosure), Enclosures Optional, Use Request Price Form or Call for Instant Quote. Kohler, Commander "M™ Series, 1250 kW (1563 kVA) 60 Hz, SKU KOGM-1250D339, Model 1250REOZMD-3, (Open, No Enclosure), Enclosures Optional, Use Request Price Form or Call for Instant Quote. Kohler, Commander "DR™ Series, 1500 kW (1875 kVA) 60 Hz, SKU KOGD-1500D341, Model 1500REOZDD-3, (Open, No Enclosure), Enclosures Optional, Use Request Price Form or Call for Instant Quote. Kohler, Commander "M™ Series, 1600 kW (2000 kVA) 60 Hz, SKU KOGM-1600D342, Model 1600REOZMD-3, (Open, No Enclosure), Enclosures Optional, Use Request Price Form or Call for Instant Quote. Kohler, Commander "M™ Series, 1750 kW (2188 kVA) 60 Hz, SKU KOGM-1750D343, Model 1750REOZMD-3, (Open, No Enclosure), Enclosures Optional, Use Request Price Form or Call for Instant Quote. Kohler, Commander "M™ Series, 1750 kW (2188 kVA) 60 Hz, SKU KOGD-1750D344, Model 1750REOZDD-3, (Open, No Enclosure), Enclosures Optional, Use Request Price Form or Call for Instant Quote. Kohler, Commander "M™ Series, 2000 kW (2500 kVA) 60 Hz, SKU KOGM-2000D345, Model 2000REOZMD-3, (Open, No Enclosure), Enclosures Optional, Use Request Price Form or Call for Instant Quote. Kohler, Commander "DR™ Series, 2000 kW (2500 kVA) 60 Hz, SKU KOGD-2000D346, Model 2000REOZDD-3, (Open, No Enclosure), Enclosures Optional, Use Request Price Form or Call for Instant Quote. Kohler, Commander "DR™ Series, 2250 kW (2813 kVA) 60 Hz, SKU KOGD-2250D347, Model 2250REOZDD-3, (Open, No Enclosure), Enclosures Optional, Use Request Price Form or Call for Instant Quote. Kohler, Commander "DR™ Series, 2500 kW (3125 kVA) 60 Hz, SKU KOGD-2500D348, Model 2500REOZDC-3, (Open, No Enclosure), Enclosures Optional, Use Request Price Form or Call for Instant Quote. Kohler, Commander "DR™ Series, 2800 kW (3500 kVA) 60 Hz, SKU KOGD-2800D350, Model 2800REOZDB-3, (Open, No Enclosure), Enclosures Optional, Use Request Price Form or Call for Instant Quote. Kohler, Commander "DR™ Series, 3250 kW (4063 kVA) 60 Hz, SKU KOGD-3250D351, Model 3250REOZD-3, (Open, No Enclosure), Enclosures Optional, Use Request Price Form or Call for Instant Quote.